First things first. 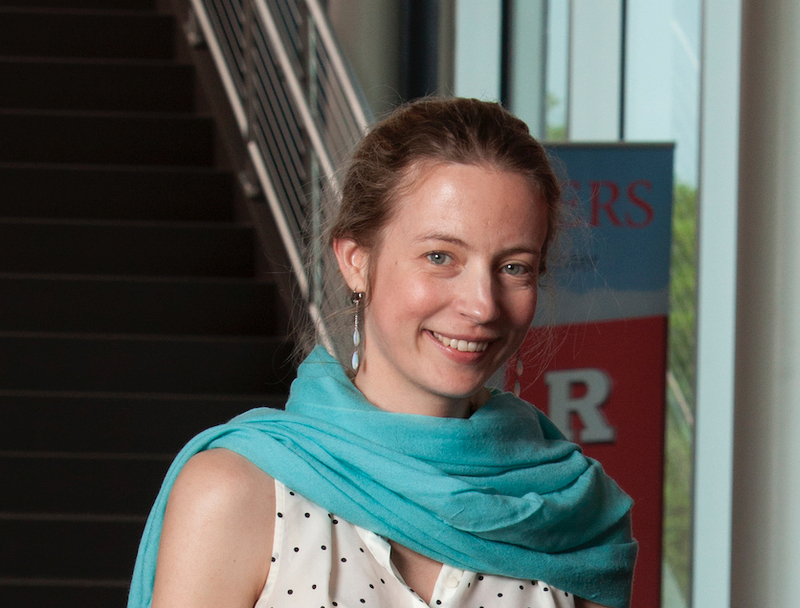 Mega-congratulations are very much in order for Rutgers Classics faculty member Emily Allen-Hornblower, who in spring 2015 received tenure and promotion to the rank of Associate Professor. This brings the number of full-time tenured faculty in the Classics Department to seven, plus one additional tenured member with a joint appointment. Well done, to say the least! But wait, there’s more. 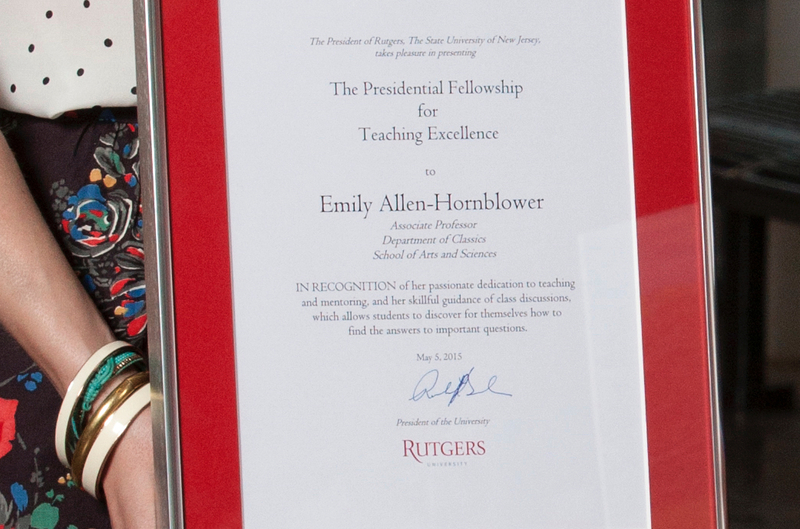 One of the most prized distinctions that Rutgers offers its newly tenured faculty members is the Presidential Fellowship for Teaching Excellence. The Fellowship, which includes the establishment of a special research account, honors outstanding teaching and scholarly work. In 2015 just five Presidential Fellowships were awarded across the entire University, i.e., our New Brunswick, Newark and Camden campuses. A bit of biography. Emily Allen-Hornblower attended middle and high school in Paris, and earned a double AB (Classics and English) and MA (Classics) at the École Normale Supérieure. 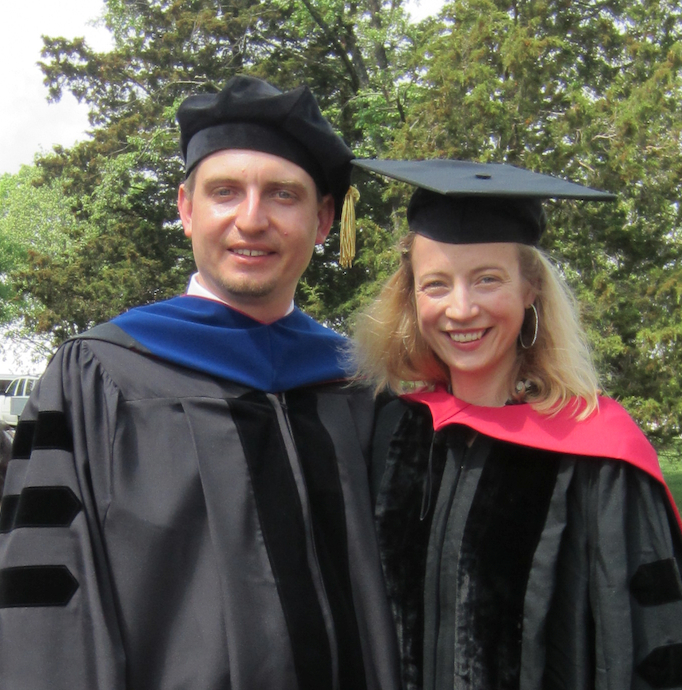 She joined Rutgers’ Department of Classics as a tenure track assistant professor immediately after completing her PhD in Classical Philology at Harvard University, in the fall of 2009. 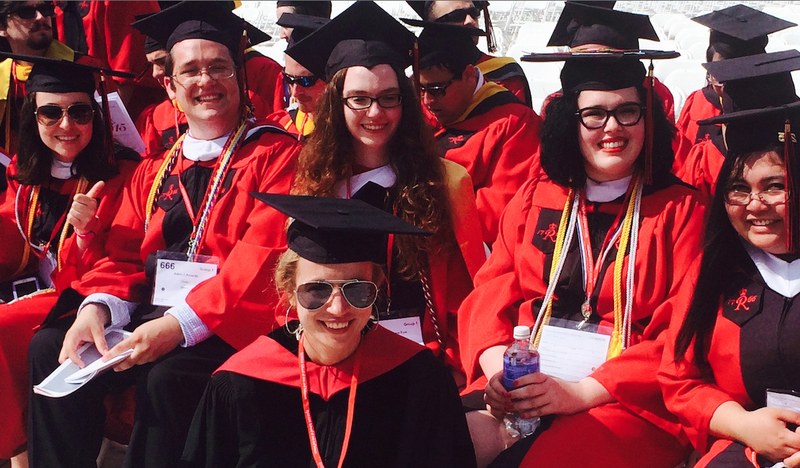 A year later she received a second doctoral degree, under a Harvard co-tutelage agreement, from Paris IV-Sorbonne. Since coming to RU, Professor Allen-Hornblower has taught a wide variety of undergraduate and graduate offerings: language courses (Greek language and literature at every level); medium-sized lecture courses (including a signature course on “Transgression in Greek Society and Culture” that she created); some large lecture courses (e.g., Greek Drama in Translation); and graduate seminars on topics such as “Mind and Body in Greek Tragedy” and “Doubt, Hesitation and Remorse in Greek and Roman Culture”. Among other things, Emily Allen-Hornblower for Classics has directed a half-dozen undergraduate honors theses, directed or advised three doctoral dissertations, held the post of teaching assistant mentor, and continues to serve as an energetic undergraduate director (which entails supervision of our Zeta Eta Chapter of Eta Sigma Phi, the national Classics honor society). 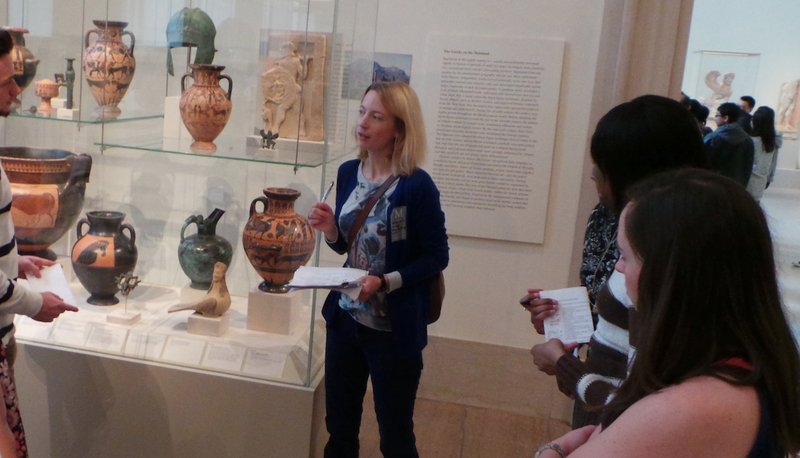 Every teaching semester, Professor Allen-Hornblower takes a group of Rutgers students to the Greek and Roman galleries of the Metropolitan Museum of Art in New York City. This visit dates to December 2014. And then there is the outreach. Professor Allen-Hornblower has been a guest commentator on NPR’s Marketplace with Kai Ryssdal (read the interview here), and an on-air consultant for two different History Channel programs, “Clash of the Gods” (premiered 2010) and “Bible Rules” (2014). And that is in addition to on-stage commentary before performances of the New Jersey Symphony Orchestra (the topic was Prometheus and fire) and after a production of the Ma-Yi Theatre Company in NYC (remarking on its dance-theater adaptation of Euripides’ Iphigeneia in Tauris). Her work with the New Jersey Scholarship and Transformative Education in Prisons Consortium (NJ-STEP) has been the subject of a feature article. Plus she has presented academic papers at a wide range of national and international venues, including in Canada, Scotland, Switzerland, and (often) Italy. For 2012/3 and 2013/4, Emily Allen-Hornblower received two back-to-back competitive research fellowships: from the Center for Hellenic Studies in Washington, DC, and from the Loeb Classical Library Foundation. One result is that she completed her first book, From Agent to Spectator: Witnessing the Aftermath in Ancient Greek Epic and Tragedy, published in March 2016 by De Gruyter in its Trends in Classics series. Here Allen-Hornblower covers new ground, by considering a little-studied sub-set of characters in Greek epic and tragedy: “internal spectators”, i.e., those that are looking on and reacting to the aftermath of their own actions. A second book, on the reception of Greek tragedy in twentieth-century French drama, is in the works. Available in e-version and in print! For table of contents, see here. This is in addition to a growing series of articles and chapters, including most recently “Beasts and Barbarians in Caesar’s Bellum Gallicum 6.21-28” in Classical Quarterly 64 (2014), with a novel explanation for Caesar’s description of the Hercynian forest and its fantastical beasts; “Gods in Pain: Walking the Line Between Divine and Mortal in Iliad 5,” in Lexis 32 (2014), on scenes of divine wounding in Homer’s epic; and “Sounds and Suffering in Sophocles’ Philoctetes and Gide’s Philoctète” in Studi Italiani di Filologia Classica 11 (2013), a particularly noteworthy contribution to the reception of Greek tragedy in the late nineteenth century. Thanks to these links, you can read them all here. And you can bet there will be a lot more, and soon!